Considered a connecter of professionals throughout time, the business card has always served as an open invitation to continue the conversation. But what do you do when you are an athlete and you don’t have a business card? Enter LinkedIn. LinkedIn provides the opportunity to make those connections stick and can be so much more than just a place to share your experience and expertise. What makes the platform powerful is the ability to interact directly with people already interested in making professional connections, such as potential employers and sponsors, customers and even members of the media. But to make that virtual business card work hard for you, first you need to build a profile that goes beyond your resume. The first place to address is your headline; it’s important real estate because it’s the first thing people see when they visit your profile. Your headline should be more than just your sport or position on the field – use this precious real estate to share who you are, not just what you do. And since LinkedIn operates like a search engine, you should use the words you want to be known for. See Andre Iguodala and Tracy Evans-Land’s profiles for great headline examples – they share things they are most passionate about. As with the headline, describing your work experience is all about showcasing your strengths and skills. Instead of just describing what you did on your team or at your job, think about using keywords that describe what you want to be known for. Then back it up with links to stories about you, your website or other available media and include recommendations from colleagues. Think beyond your resume and use this section to further build the story of what you stand for. See Jennifer Azzi and Amobi Okugo’s profiles to see their use of rich media and descriptions of their interests beyond their professional athletic careers, such as Jennifer’s youth basketball camps. Step Three: Don’t Forget Your Story! While the headline and job descriptions are about what you do, one’s personal narrative may be the most critical story to tell on your virtual business card. Use the Executive Summary section to tell others what you stand for, what you love to do and how you love to do it, all using your first-person voice. As we all know, writing or talking about yourself is never an easy thing to do. It can feel awkward and even like you are tooting your own horn. So instead, think of this exercise as an opportunity to share what you care about – your values, your passions and your interests – and remember, that you need to tell your story for others to understand what gets you excited or match you to opportunities that fit your interests. Once you have addressed theses three categories, then turn it into a first-person narrative that starts with your personal mission statement. See Blaine Scully and Ryan Nece’s Executive Summary as examples. And once you have a profile that tells your story, it’s time to share it with the world. The best way to do that? Be active! Activity will keep you top-of-mind with your connections and make you more searchable. So connect with people. Endorse people and be endorsed. Continually update your profile to best represent what you do and who you are. Likes the activity others. Post articles that reflect your interests. Write articles that share your passions. And everyone you meet someone you’d like to further connect with, share that you are on LinkedIn and welcome them to learn more about you. For example, Amobi Okugo is interested in financial literacy so he shares posts from his blog, Frugal Athlete through his profile. 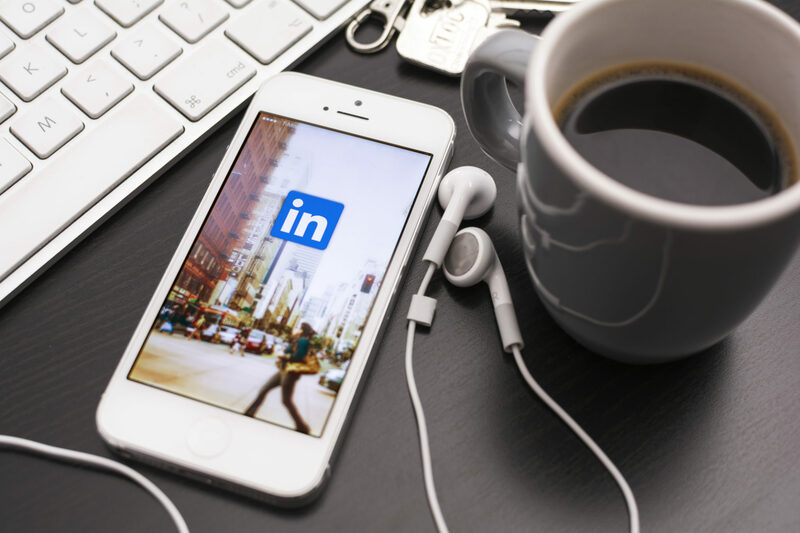 By creating an active LinkedIn profile, you have the opportunity to not only morph your profile into not only a virtual business card, but ultimately, a real destination that drives your personal brand.